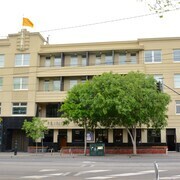 The Prince features a full-service spa. The hotel offers a restaurant. Guests can unwind with a drink at one of the hotel's 2 bars/lounges. Public areas are equipped with complimentary wireless Internet access. Event facilities measuring 1076 square feet (100 square meters) include a meeting room. This Art Deco hotel also offers a nightclub, spa services, and tour/ticket assistance. Complimentary self parking is available on site. The Prince is a smoke-free property. Along with a full-service spa, this smoke-free hotel has a restaurant and a nightclub. Free WiFi in public areas and free self parking are also provided. Additionally, 2 bars/lounges, massage/treatment rooms, and a meeting room are onsite. All 39 rooms provide conveniences like refrigerators and coffee makers, plus free WiFi and flat-screen TVs with digital channels. Guests will also find minibars, room service, and premium bedding. The Prince offers 39 forms of air-conditioned accommodation with minibars and a safe. Beds feature premium bedding. Fridges and coffee/tea makers are provided. Bathrooms include a complimentary bathrobe, complimentary toiletries and a hairdryer. 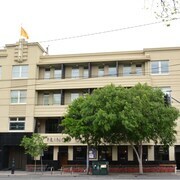 This St Kilda hotel provides complimentary wireless Internet access. Flat-screen televisions come with digital channels. Housekeeping is provided on a daily basis. The Prince has a restaurant on site. Prince Dining Room – This restaurant specialises in Mediterranean cuisine and serves breakfast, lunch and dinner. Guests can enjoy drinks at the bar. Reservations are required. Open daily. 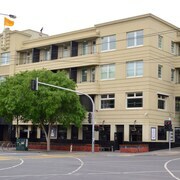 Public Bar – This pub specialises in Asian cuisine. Open daily.